Ever since the merits of this evergreen shrub have traveled far and wide with it becoming a commonplace ingredient to spruce up a number of regional cuisines. Rosemary hails from the mint family of flowering plants, which includes basil, marjoram, oregano, and their ilk. It bears an uncanny resemblance to lavender and possesses flat pine needle-shaped leaves that are deep green in color on top with a touch of silver on the underside. The plant is also embellished with pink, purple, white, or blue flowers. Presently, dried rosemary dominates the market for its commercial use, with Tunisia, Egypt, Spain, France, and Morocco being its prime suppliers. This, however, doesn’t imply that its production is exclusive to the Mediterranean belt alone. The plant requires temperate climate to thrive and can just easily be grown in your backyard if you happen to live in a place that offers conducive climatic conditions: a lot of sunlight without excessive heat and humidity. There is no dearth of rosemary’s splendor and acclaim in all of history, folklore, and literature. Touted as the herb of fidelity in Elizabethan times and adorning the braids and necks of students looking to boost their memory during exams in ancient Greece, rosemary has always been more than just a culinary herb. Legend has it that it was rosemary that helped draw Sleeping Beauty out of her infamous slumber. Moreover, dusting a bit of this herb around the house was thought to bring prosperity and protection to your place of abode. 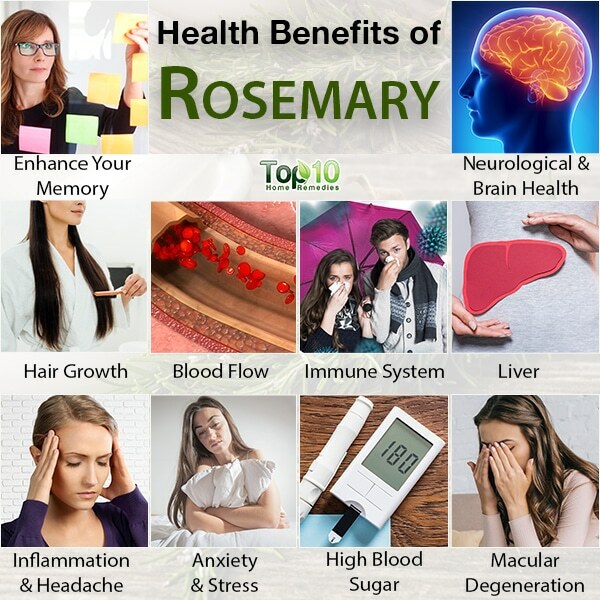 In one of his most acknowledged literary works, Hamlet, Shakespeare once proclaimed, “There’s rosemary, that’s for remembrance: pray, love, remember,” indicating that even the bard was in on rosemary’s magical benefits. Long after Shakespeare’s time, various studies also have confirmed many health benefits of rosemary, whether it is used in fresh, dried, or oil form. Rosemary has potent antioxidant, antiseptic, anticancer, anti-inflammatory, and disinfectant properties. (2) The plant is also reputed for containing an essential oil that can preserve and even enhance cognitive functioning, including memory. Additionally, rosemary is one of the spices that contain the highest antioxidant properties, all of which can prove effective against fungi, bacteria, and cancer. Caution: Medicinal intake of rosemary can prove dangerous for pregnant women because it might stimulate menstruation or adversely affect the uterus, inducing a miscarriage. Whole herb in dried form. Powdered extracts made from fresh or dried rosemary. Rosemary essential oil extracted from the flowering tips of the plant. Alcohol tinctures, teas, and liquid extract prepared from fresh or dried leaves. Each of these variants engenders different therapeutic effects. As for the rosemary extracts, their effects and value differ depending on how the rosemary is extracted and what compounds are extracted. Fresh rosemary, however, ranks higher than its dried counterpart owing to the subtlety in its taste, which makes it more palatable. Refrigerating a fresh batch of this herb in a Ziploc bag is the best way to ensure that it doesn’t perish for several weeks. Dried rosemary, on the other hand, should ideally be kept in an airtight container and stored in a cool, dark, and dry place for it to last for several months. The woodsy, citrus-like fragrance of rosemary essential oil is also found in beauty products and used in aromatherapy. Apart from its health and beauty uses, rosemary is also a popular culinary herb. Fresh or dried rosemary can be added to soups, sandwiches, salads, and dips and is even used to make an infused oil. Plus, rosemary tea is a popular beverage. Rosemary is often used as part of a bouquet garnish or bundle of herbs and spices to enrich the flavor of soups, stews, and casseroles. This herb is particularly indispensable to Italian cooking, so much so that adding roasted rosemary sprigs to root vegetables or Italian bread such as focaccia is what accounts for their authenticity and distinct flavor. 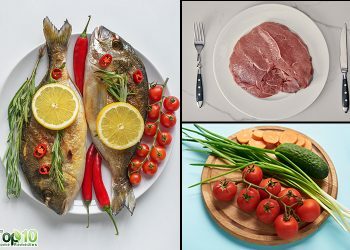 Moreover, it is commonly used to season meat, poultry and game and to whip up stuffing and sauces for fish, lamb, and chicken. When using fresh leaves to bring out the best in dishes, the leaves or sprigs are picked out and discarded after cooking. Extracting dried rosemary, in the same manner can prove especially difficult, and is, therefore, best if you crush it before adding it to your dish. Lastly, the fragrant flavor of rosemary can be a complementary addition to delicate desserts, such as sorbets, fruit fools, and fruit salads but only when used sparingly. Although predominantly used as a seasoning for savoury meat preparations, fresh or dried rosemary can also be used to brew a delicious and healthy cup of tea. Add a fresh sprig from your rosemary bush to your teapot containing one cup of boiling water. Let it steep for 3 to 5 minutes, if you prefer your tea mild and aromatic. However, if you are not averse to a stronger and more bitter-tasting brew, it’s best you steep the leaves for up to 10 minutes as it will help draw out more of the healthy oils and nutrients that will maximize the tea’s benefits. In the case of fresh sprigs, you can avoid having to filter the tea by leaving the rosemary needles on the stem. If, however, you choose to use dried rosemary, the rule of thumb is 1 teaspoon per cup of boiling water. Mix a 1/2 cup of castile soap to a 1/2 cup of water or coconut milk and stir. Thereafter, add 16 drops of rosemary and 2 drops of peppermint essential oils to the blend and, voila, you have yourself a highly effective and chemical-free hair tonic. Unlike conventional shampoos that strip your hair of their natural oils, this homemade rosemary peppermint shampoo helps to add body to your hair, strengthen your hair follicles, and reduce dandruff. Moreover, a good hair wash in the morning using this invigorating blend can work as the ultimate pick-me-up to kick-start your day. Take equal parts of geranium, sandalwood, lavender, frankincense, rosemary, and lemon essential oils, and mix them well. Dilute the concoction as needed and use it topically to banish wrinkles. Along with all the other antioxidant-rich oils, rosemary helps promote skin cell regeneration and wards off the harmful free radicals that are at the base of premature skin aging. Combine almond oil with 12 drops each of rosemary and lavender essential oils, and mix them well. Empty the healing tonic into a roller bottle to apply it on puffy or red skin under the eyes. Since lavender oil is a natural diuretic, it will help mitigate water retention under the eyes and diminish the appearance of eye bags. Simultaneously, rosemary essential oil will put its strong anti-inflammatory agents, namely caffeic and rosmarinic acid, to good use and reduce the swollen puffiness. Caution: Do not apply this blend on top of your eyelids as it can trickle or seep into your eyes and can cause irritation or more serious retinal damage. Here are the top 10 health benefits of rosemary. Breathe in the aroma of rosemary oil by adding 2 or 3 drops of this oil to your handkerchief or room diffuser. You can also start drinking rosemary tea made from fresh or dried leaves. To make the tea, add 1 or 1½ teaspoons of the herb to 1 cup of hot water, cover it, and let it steep for 5 minutes. Rosemary exhibits a certain degree of neuroprotective properties on account of its carnosic acid content. This acid helps safeguard the nervous system by fighting off the brain damage caused by free radicals in the form of oxidative stress and overstimulation of nerve cells. What makes rosemary especially appealing as a neuroprotective agent is that it comes without the harmful side effects that are characteristic of the conventional drugs used to treat neurodegenerative disease. This wonderful herb may also stimulate hair growth by potentially improving blood circulation to the scalp, which allows more nutrients to reach the hair follicles, thereby encouraging your hair to grow long and strong. Thus, rosemary essential oil is touted as a viable hair loss restorative primarily due to its circulation-improving and nerve-healing effects. A 1998 study published in the Archives of Dermatology points out that rosemary aromatherapy can be used to treat alopecia areata. 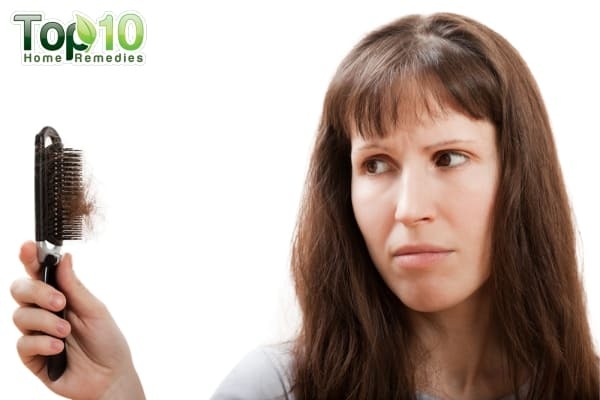 (9) Furthermore, its antibacterial quality gently cleanses hair and prevents itchiness and dandruff. Add a handful of fresh rosemary to 2 to 3 cups of hot water and let it steep for 15 minutes. Remove the herb and let the liquid cool down. Use it as a hair rinse few times a week. Alternatively, add a few drops of rosemary essential oil to warm olive or coconut oil and massage your scalp with it 2 or 3 times a week. You can even add a few drops of rosemary essential oil to your shampoo before washing your hair. Combine 4 teaspoons of grapeseed oil, ½ teaspoon of jojoba oil, 3 drops each of rosemary and lavender oils, and 2 drops each of thyme and cedarwood oils. Massage your scalp with this mixture. Wrap your hair with a warm towel. Leave it on overnight or for at least 40 minutes. The next morning, shampoo your hair as usual. Follow this regimen 2 or 3 times a week. Given the fact that rosemary is characteristically warming and stimulating by nature, it can help enhance the movement of blood. This, in turn, helps supply vital nutrients to all the vital organs and boost metabolic activities in your body. Drink rosemary tea on a regular basis to promote circulation. If you frequently suffer from cold limbs due to poor circulation, massage the affected limbs with rosemary-infused oil. Drink 1 to 2 cups of rosemary tea daily to keep yourself healthy and free from the common cold, coughs, and other health problems. The liver is perhaps one of the most vital organs in the body, which is accorded the bulk of the responsibility when it comes to detoxifying our system. Any damage to the liver, thus, has overarching ramifications for the entire body and can even lead to a complete shutdown of bodily functions. What makes matters worse is the fact that the liver takes a very long time to recuperate as it is one of the slowest organs to heal. Rosemary, however, can help in this regard as it has been linked to lowering the risk of cirrhosis and expediting liver recovery. Another liver-protective property associated with this herb is that it reduces plasma liver enzymes, which may cause type 2 diabetes. Drink a cup of rosemary tea daily. However, always consult your physician before starting with this complementary intake. Rosemary contains analgesic and anti-inflammatory properties. Rosemary has long been used as a headache remedy, but other parts of the body suffering from pain may benefit, too. Simply massage your forehead and temples with a few drops of rosemary oil mixed in 1 tablespoon of carrier oil. Even smelling its aroma may provide relief from headaches. For headaches associated with cold or nasal congestion, add a few drops of rosemary oil to a tub of hot water and inhale the steam. For arthritic pain, warm 2 tablespoons of olive oil in a microwave for a few seconds. Mix 2 to 3 drops of rosemary oil in it. 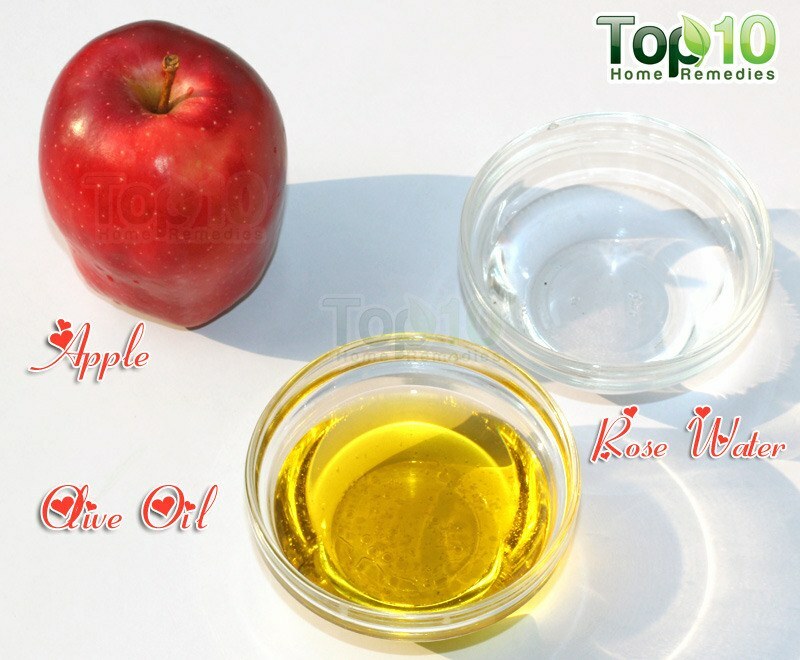 Massage the affected area with this oil for 5 minutes. Repeat 2 to 3 times daily until you get relief. Make 1 to 2 cups of rosemary tea, soak a washcloth in it, and place the washcloth on the affected area for 10 to 15 minutes. Do this a few times daily to treat muscle soreness. The sweet aroma of rosemary is effective in clearing your mind and providing relief from stress. Its calming nature even helps relax tense muscles. Researchers also found that exposure to rosemary oil for about 1 hour helped the participants feel fresh and become alert and cheerful. To fight stress and anxiety, add a few drops of rosemary essential oil in an aromatherapy diffuser or vaporizer. Place it in your bedroom at a safe distance, so that the calming vapors can help induce a deep and peaceful slumber. Drink a cup of rosemary tea daily. Caution: Always consult your physician before drinking this tea, and make sure you keep monitoring your blood sugar levels thereafter. Also, starting this adjunctive remedy doesn’t mean you can take your doctor-prescribed meds less seriously. Strictly adhere to the drug routine stipulated by your doctor. Thus, the clinical application of rosemary might even prove suitable for treating diseases affecting the outer retina, such as age-related macular degeneration. Add rosemary to your food as a spice or administer 30-40 drops of high-quality organic rosemary extract to your eyes 2-5 times a day. Rosemary is generally considered safe for consumption in the amounts found in foods and when used as a medicine that is taken by mouth, applied to the skin, or inhaled as aromatherapy. Moreover, according to recent European research, rosemary has been found to interfere with the absorption of iron in the diet and is therefore not recommended to be used internally by persons with iron deficiency anemia. When topically applying rosemary essential oil, its best to dilute it with a carrier oil to avoid skin irritation. 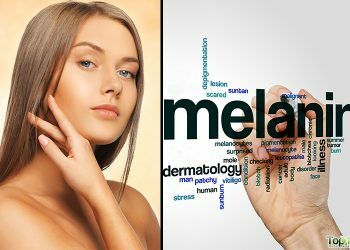 This sharp and strong oil can even lead to dermatitis in people with sensitive skin. Besides, orally consuming undiluted rosemary oil is also strictly prohibited. Certain anticoagulants or blood-thinning drugs, which include aspirin, heparin, and warfarin. (Coumadin). Nonsteroidal anti-inflammatory drugs, such as ibuprofen (Motrin®, Advil) and naproxen. Given that rosemary exhibits anti-inflammatory, antispasmodic, antifungal, and antibacterial activities, patients taking any medications with similar effects should exercise restraint and caution when using this herb to avoid a harmful enhanced response. Because rosemary itself is diuretic in nature, it can dangerously enhance the effect of water pills or diuretic drugs, leading to dehydration. Patients on cholesterol-lowering medications are advised caution when using rosemary for pharmacological purposes as certain constituents in the herb’s extract may inhibit cholesterol oxidation product formation. Rosemary is known to come in the body’s way of properly processing certain drugs using the liver’s cytochrome P450 enzyme system. This interference implies that the levels of these drugs may be decreased in the blood, thereby diminishing the intended effects. The diuretic effect of rosemary also proves dangerous in combination with lithium drugs, which are used to treat episodes of manic depression. This follows that as rosemary causes the body to lose water, it can end up raising the amount of lithium in the body to toxic levels. Patients on antihypertension drugs, such as ACE inhibitors, should be careful when using rosemary. This is due to the fact that the water extracts of rosemary inhibit angiotensin I-converting enzyme (ACE), which may double up the effect of the drugs and cause the blood pressure to plummet dangerously low. 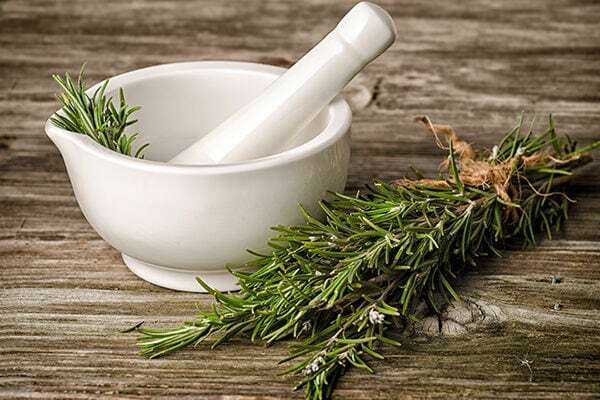 Taking all these factors into account, it is imperative that patients taking any of the above-mentioned medications should not use rosemary without carefully assessing and ruling out the potential health threats. To that end, one must check the package insert that comes with the medicine and consult with a qualified healthcare professional, including a pharmacist, about possible interactions. Rosemary tea is not to be given to the children under 6 months of age. Rosemary is also not recommended for people with epilepsy, ulcerative colitis, and high blood pressure. 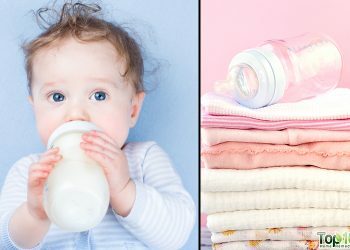 As for breastfeeding women, the effects of consuming rosemary in medicinal amounts on the health of both the mother and the nursing infant are yet undetermined. It is thus ill-advised to consume the herb as medicine when your baby’s health is at stake. When it comes to the safety and adequacy of applying rosemary to the skin during pregnancy, the reactions are still scientifically inconclusive, and its use, therefore, is best avoided. To conclude, if you happen to be pregnant or nursing, it’s better to be safe than sorry and limit your rosemary intake to food amounts rather than using it exorbitantly. People who are allergic to aspirin are advised not to use rosemary as it contains the chemical salicylate, which is very similar to aspirin and can trigger a reaction. People suffering from bleeding disorders should exercise caution when using rosemary as it is known to increase the risk of bleeding and bruising. Rosemary can further deteriorate the condition of people grappling with seizure disorders and is therefore off-limits for them. Moderate consumption of rosemary can even be used to treat indigestion. The aromatic goodness of rosemary also makes it effective as a mouth freshener. Do not take this herb while taking homeopathic medicines. Rosemary can help balance natural oils, which makes it especially effective for refreshing oily skin and hair without causing undue dryness. Before using rosemary oil on the skin, do a patch test to rule out the possibility of an allergic reaction. Store dried rosemary in an airtight container in a cool, dark, and dry place. The peak season for this herb is spring and you can grow your own batch of fresh rosemary by planting seedlings 2 to 3 feets apart. Pengelly, A, et al. “Short-Term Study on the Effects of Rosemary on Cognitive Function in an Elderly Population.” Current Neurology and Neuroscience Reports., U.S. National Library of Medicine, ncbi.nlm.nih.gov/pubmed/21877951. Published January 2012. Nieto, G, et al. “Antioxidant and Antimicrobial Properties of Rosemary (Rosmarinus Officinalis, L.): A Review.” Current Neurology and Neuroscience Reports., U.S. National Library of Medicine, www.ncbi.nlm.nih.gov/pubmed/30181448. Published 4 September 2018. “Basic Report: 02063, Rosemary, Fresh .” USDA Food Composition Databases, ndb.nal.usda.gov/ndb/foods/show/02063. Habtemariam, Solomon. “The Therapeutic Potential of Rosemary ( Rosmarinus Officinalis) Diterpenes for Alzheimer’s Disease.” Evidence-Based Complementary and Alternative Medicine ncbi.nlm.nih.gov/pmc/articles/PMC4749867/. Published January 2016. “Could Rosemary Scent Boost Brain Performance?” EurekAlert!, 24 Feb. 2012, eurekalert.org/pub_releases/2012-02/sp-crs022012.php. Moss, M, et al. “Aromas of Rosemary and Lavender Essential Oils Differentially Affect Cognition and Mood in Healthy Adults.” Current Neurology and Neuroscience Reports., U.S. National Library of Medicine, ncbi.nlm.nih.gov/pubmed/12690999. Published January 2003. Seyedemadi, P, et al. “The Neuroprotective Effect of Rosemary (Rosmarinus Officinalis L.) Hydro-Alcoholic Extract on Cerebral Ischemic Tolerance in Experimental Stroke.” Current Neurology and Neuroscience Reports., U.S. National Library of Medicine, ncbi.nlm.nih.gov/pubmed/28243285. Published 2016. Panahi, Y, et al. “Rosemary Oil vs Minoxidil 2% for the Treatment of Androgenetic Alopecia: a Randomized Comparative Trial.” Current Neurology and Neuroscience Reports., U.S. National Library of Medicine, ncbi.nlm.nih.gov/pubmed/25842469. Published January 2015. Hay, Isabelle C. “Randomized Trial of Aromatherapy.” JAMA, American Medical Association, jamanetwork.com/journals/jamadermatology/fullarticle/189618. Published 1 November 1998. Rašković, Aleksandar, et al. “Antioxidant Activity of Rosemary (Rosmarinus Officinalis L Essential Oil and Its Hepatoprotective Potential.” BioMed Central, ncbi.nlm.nih.gov/pmc/articles/PMC4227022/. Published July 2014. Moreno, S, et al. “Antioxidant and Antimicrobial Activities of Rosemary Extracts Linked to Their Polyphenol Composition.” Current Neurology and Neuroscience Reports., U.S. National Library of Medicine, ncbi.nlm.nih.gov/pubmed/16390832. Published February 2006. Moore, Jessy, et al. “Anticancer Effects of Rosemary ( Rosmarinus Officinalis L .) Extract and Rosemary Extract Polyphenols.” Nutrients MDPI, ncbi.nlm.nih.gov/pmc/articles/PMC5133115/. Published November 2016. Hodges, Romilly E., and Deanna M. Minich. “Modulation of Metabolic Detoxification Pathways Using Foods and Food-Derived Components: A Scientific Review with Clinical Application.” Journal of Nutrition and Metabolism, hindawi.com/journals/jnme/2015/760689/. Published December 2015. Takaki, I, et al. “Anti-Inflammatory and Antinociceptive Effects of Rosmarinus Officinalis L. Essential Oil in Experimental Animal Models.” Current Neurology and Neuroscience Reports., U.S. National Library of Medicine, ncbi.nlm.nih.gov/pubmed/19053868. Published December 2008. Sagorchev, P, et al. “Investigations into the Specific Effects of Rosemary Oil at the Receptor Level.” Current Neurology and Neuroscience Reports., U.S. National Library of Medicine, ncbi.nlm.nih.gov/pubmed/20034774. Published July 2010. Andrade, Joana M, et al. “(PDF) Rosmarinus Officinalis L.: an Update Review of Its Phytochemistry and Biological Activity.” Researchgate, researchgate.net/publication/322868444. Published February 2018. Sayorwan, Winai, et al. “Effects of Inhaled Rosemary Oil on Subjective Feelings and Activities of the Nervous System.” Scientia Pharmaceutica, ncbi.nlm.nih.gov/pmc/articles/PMC3700080/. Published December 2012. Nematolahi, P, et al. “Effects of Rosmarinus Officinalis L. on Memory Performance, Anxiety, Depression, and Sleep Quality in University Students: A Randomized Clinical Trial.” Current Neurology and Neuroscience Reports., U.S. National Library of Medicine, www.ncbi.nlm.nih.gov/pubmed/29389474. Published February 2018. Naimi, Madina, et al. “Rosemary Extract as a Potential Anti-Hyperglycemic Agent: Current Evidence and Future Perspectives.” MDPI, Multidisciplinary Digital Publishing Institute, mdpi.com/2072-6643/9/9/968. Published 1 September 2017. Bower, Allyson M., et al. “Bioactive Compounds from Culinary Herbs Inhibit a Molecular Target for Type 2 Diabetes Management, Dipeptidyl Peptidase IV.” ACS Publications, pubs.acs.org/doi/abs/10.1021/jf500639f. Published June 2014. Rezaie, Tayebeh, et al. “Protective Effect of Carnosic Acid, a Pro-Electrophilic Compound, in Models of Oxidative Stress and Light-Induced Retinal Degeneration.” Investigative Ophthalmology and Visual Science, www.ncbi.nlm.nih.gov/pmc/articles/PMC3508754/. Published November 2012. Jolla, LA. “Compound Found in Rosemary Protects against Macular Degeneration in Laboratory Model.” EurekAlert!, eurekalert.org/pub_releases/2012-11/smri-cfi112712.php. Published 27 November 2012. “AARP’s Health Tools- Rosemary.” AARP, healthtools.aarp.org/natstandardcontent/rosemary/3. Shin, Han-Bo, et al. “Antiviral Activity of Carnosic Acid against Respiratory Syncytial Virus.” Virology Journal, ncbi.nlm.nih.gov/pmc/articles/PMC3852111/. Published October 2013.